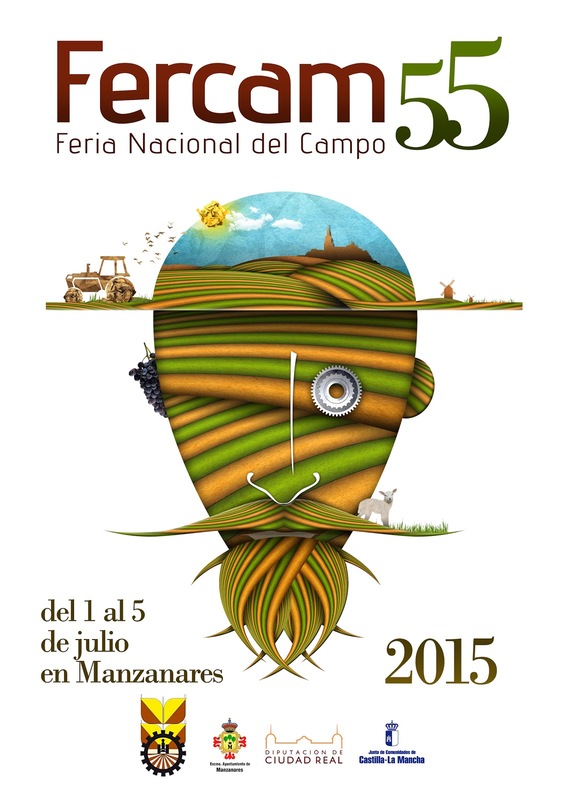 The 55th edition of Fercam, a national Farm Fair, was held last week in Manzanares (Ciudad Real). Its area was completely occupied by its 179 exhibitors. In this way, it is one of the most important farm fairs in Spain... Definitely, we recommend farming machinery lovers this farm fair. We visited it on the last Sunday morning and we spent a really nice time. Regarding machinery novelties, we highlight the new Fendt 300 Series. We could see the new Fendt 313 which uses Agco Power engine instead of mythical Deutz engine... other notable tractors were the Massey Ferguson 7718, the Valtra A73 narrow, the Kubota M7151 Premium, the John Deere 6R Series (we like them so much!! and they have a 5-year financing at 0% if you buy it in this farm fair, you will save enough money). Also, we could see the new trailed sprayed and the new spreader manufactured by Gil. Concerning tools, General Agrícola mounted a nice stand with its sprayers, nebulizers and an importan variety of tools for vineyard. Another nice place was Durán Maquinaria Agrícola stand. There were Pöttinger mowers (front and rear mounted mowers), McHale integrated baler wrappers and Pöttinger stubble cultivators and disc harrows. Agrobellón and Beguer exposed really good trailed made with stainless steel for vintage. Finally, other national brands like Ovlac, Solano-Horizonte, Aguirre, G. Sánchez-Beato, La Forjadora, Gascón International, Solá Seed Drill,... also had great stands and pretty good exposed tools.